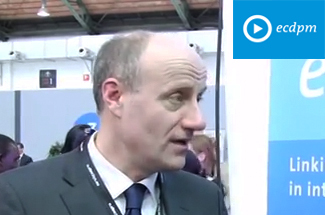 Hannan, S.A. Trade agreements can substantially boost exports. GREAT Insights Magazine, Volume 5, Issue 6. December 2016/January 2017.
International trade is an essential component of the development agenda to bolster growth. Trade can enhance productivity by promoting efficient allocation of resources, increasing competition, fostering the adoption of more advanced technologies, allowing economies of scale, and encouraging innovation. Trade can also be beneficial for consumers by increasing variety of goods available to them at cheaper prices. 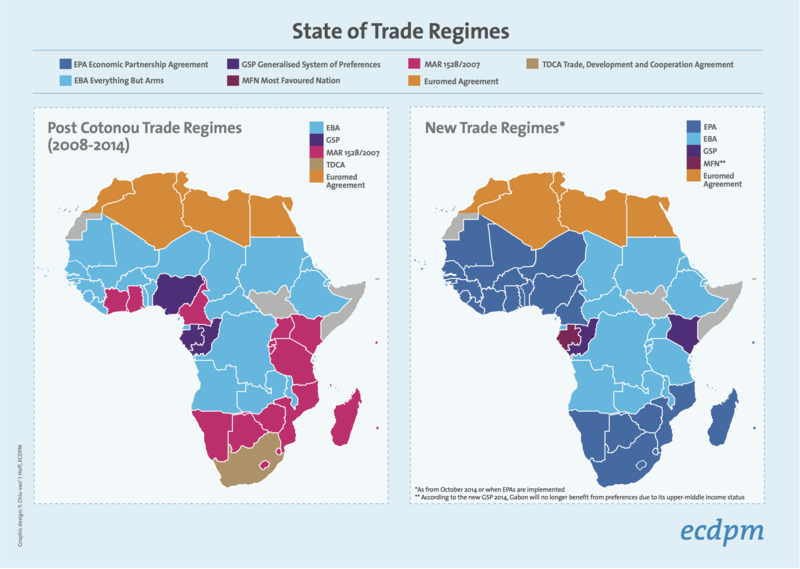 An important policy relevant question, particularly for developing countries, is thus how to increase trade integration? In recognition of the potential of international trade in improving people’s lives, there has been a global effort since the 1940s to boost regional integration by partaking numerous trade agreements with the aim to encourage trade by increasing cooperation amongst countries. More specifically, such agreements aim to promote trade by reducing tariffs and other trade barriers. 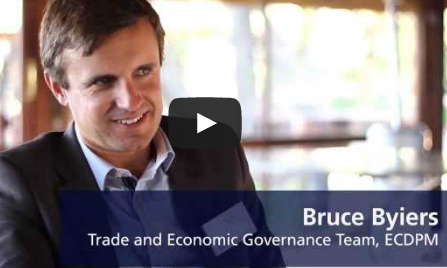 Have these trade agreements succeeded in boosting trade? One way of addressing the issue of whether trade agreements actually facilitate exports is by attempting to determine the counterfactual – for a country that has engaged in trade agreements, what would have happened if that trade agreement did not take place? Such an exercise, known as synthetic controls, helps to identify if the increase or decrease in trade following a trade agreement is due to the trade agreement or would have happened in any case, without the help of the agreement. When the actual outcome is compared to the counterfactual for 104 country pairs that participated in some sort of trade agreement over the period 1983-1995, the results suggest that trade agreements have substantially boosted exports for countries. The average gross exports of countries with trade agreements is 80 percentage points higher over the next ten years on a cumulative basis using this methodology. This translates into an annual average export growth of 3.8 percentage points higher owing to trade agreements. Overall, the export gains are even larger when the anticipation effect – trade increasing before the agreement is enacted – is accounted for. 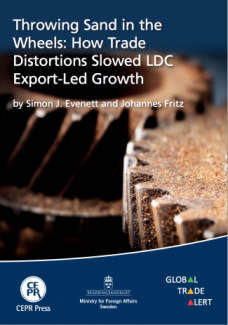 The export gains are higher for countries with smaller size, indicating that smaller countries can get a disproportionately larger boost from trade agreements, possibly due to the greater opportunity of trade integration and lower base effect. Looking across income groups, the gains from trade agreements are the highest for emerging markets when they have trade agreements with advanced markets, with export gains of 93 percentage points over ten years on a cumulative basis. For emerging markets, trade agreements with advanced economies could potentially expose them to large markets for their products, resulting in more export growth. 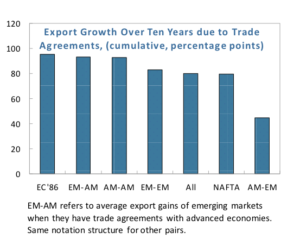 The export gains are also non-negligibly substantial when emerging markets have trade agreements with other emerging markets, with export gains of around 83 percentage points over ten years. The gains are relatively less, compared to the average, for advanced economies exporting to emerging markets. Looking at specific trade agreements, the exports increased by 79 percentage points over ten years due to the North American Free Trade Agreement (NAFTA), with all the participating countries, the U.S., Canada and Mexico, benefitting due to the agreement. However, it must be borne in mind that not all countries gain from trade agreements. Of the 104 country pairs studied, there were 24 pairs that showed negative export gains owing to trade agreements. This is a reminder that trade agreements are not magical wands and might need to be complemented by other domestic policies to bolster exports. One can question if these massive export gains are at the expense of countries that are not part of a trade agreement. Trade literature often terms this as the trade diversion. Indeed, the results give suggestive evidence of slight import diversion, with average imports from third countries 20 percentage points lower over ten years. For export diversion, the results indicate that exports to third parties not in trade agreements could actually get a small boost due to trade agreements, with average exports to third countries 8 percentage points higher over ten years. Overall, the trade creation owing to trade agreements more than offsets the trade diversion, suggesting that there is overall significant net trade creation. The finding that trade agreements generate substantial export gains is particularly relevant for policy making in the current context of trade slowdown witnessed in data. 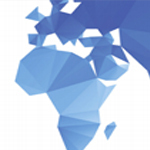 In particular, trade agreements can substantially increase trade for emerging markets. However, the scope of the analysis should be taken into consideration when interpreting the results. The focus of interest in this study is exports. While thinking about the broader issue of trade gains for the economy, other factors like welfare gains, labour adjustments, and the impact on inequality are also important to bear in mind. This article summarises the insights from S.A. Hannan. 2016. The Impact of Trade Agreements: New Approach, New Insights, IMF Working Paper WP/16/117. The views expressed herein are those of the author and should not be attributed to the IMF, its Executive Board, or its management. 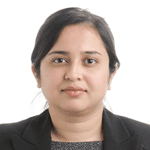 Dr Swarnali A. Hannan is an Economist in the Strategy, Policy and Review Department at the International Monetary Fund, having worked previously in the European Department. She also worked at Goldman Sachs International for three years and holds a PhD in economics from Oxford University (UK). 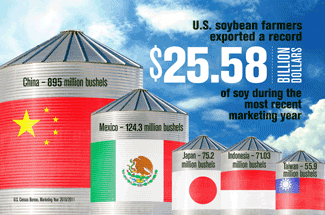 Photo: US Soy Exports Infographic. Credits: United Soybean Board, via Flickr.com. This article was published in GREAT Insights Volume 5, Issue 6 (December 2016/January 2017).